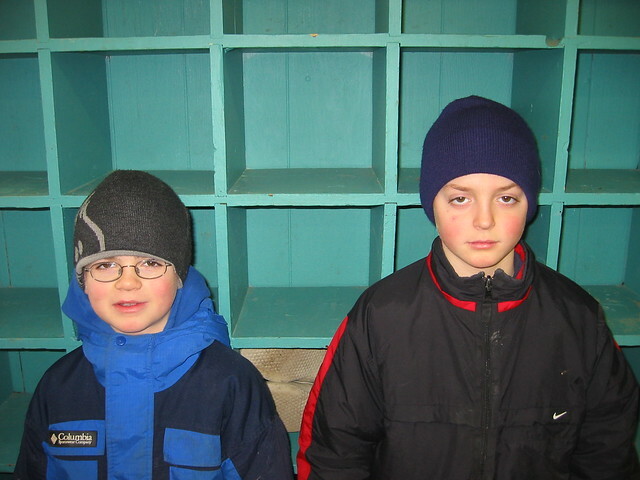 I’ve always loved this picture, taken of my brothers Ben and Joe before their first snowboarding lesson. The total lack of enthusiasm on Joe’s face kills me. In 2003, I had the pleasure of teaching them how to ride. It was a struggle at first, but by the end of the day, they were both riding, turning, and stopping on their own, carving up the blues at Afton Alps. They’ve both become good riders, and I’m proud to have been a part of that. Six years later, I feel very lucky to be able to bring them along to Big Sky this weekend. It’ll be their first exposure to real mountain snowboarding. I’m sure this time it’ll be me who struggles to keep up, and I’m hoping they’ll teach me a trick or two. My FS 270 needs work. This time, I’m assured that they’re very excited, and I hope to post a successful “After” picture soon.